Instructors deal with numerous students on a daily basis. Whether teaching skilled equestrians or beginners, those who teach this sport are always amazed by the various positions the student can put their body in. So for everyone’s enjoyment we have recreated (though slightly exaggerated) some of the most common mistakes most instructors see and deal with on a day to day basis. Chicken Wings. This eye sore is typically coupled with piano hands (see previous article) and should be avoided at all costs. You are not flying so don’t do it. I’m Trying Too Hard Pose. Your instructor said to sit straight not stick your chest towards the heavens! 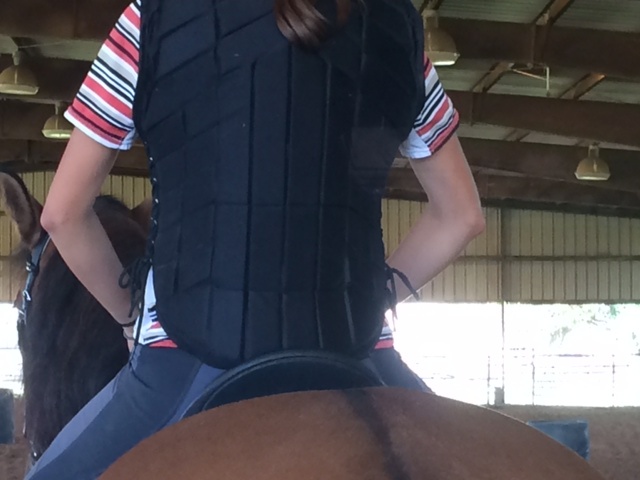 This position creates nothing but tension in you and your horse. Sit back, relax, put your shoulders back, and relax. Do not do this. Old Western Movie. I said sit back not lay down on your horse and hold him back. This is the other extreme after an instructor gripes at a student for the Trying Too Hard Pose. Leave this to the Hollywood cowboys this position is not allowed in any instructors arena. Turtle Turtle. No, you are not turtly enough for the turtle club so stop trying. This position tells your instructor that you are tense all over and possibly quite nervous. 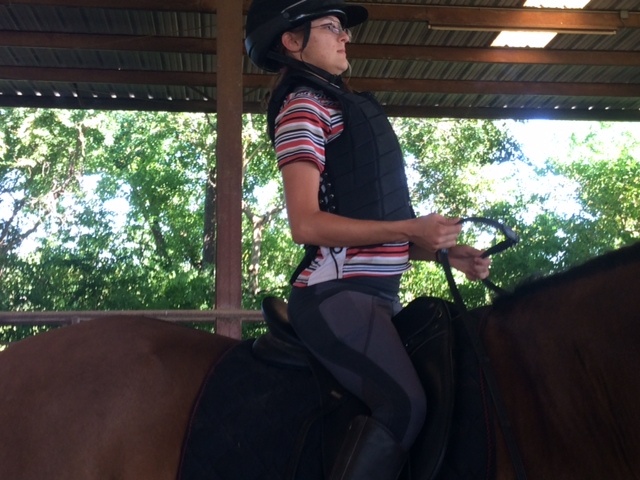 However, for your horse’s sanity and your instructor’s sanity, straighten up and breathe. It will be safer up there if you listen to your instructor. Pain. Lots of Pain. So you have conquered the first few steps of riding. By now you know to sit on your bum and keep your weight back now your instructor is attempting to teach you how to post the trot without injuring yourself. This. This right here is asking for serious pain. 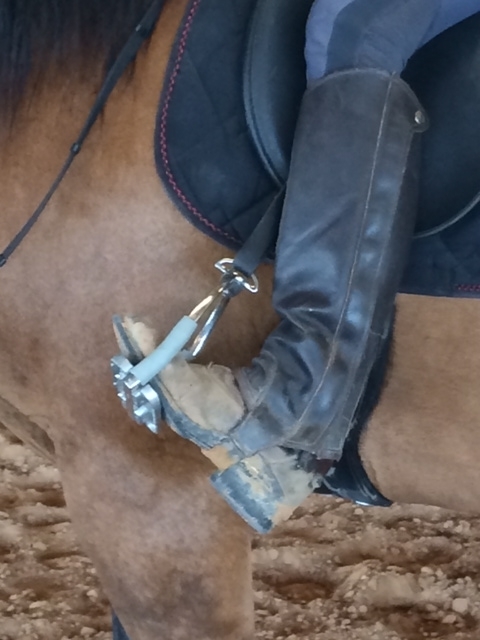 Trust us you do not want your horse to trip while you are over posting. Smaller is always better when learning to post. Your Bellybutton Is Where Now? If your instructor has ever said “pull straight back towards your bellybutton” and you pull out to the side and past your torso, even past your hip, you will get an odd look. 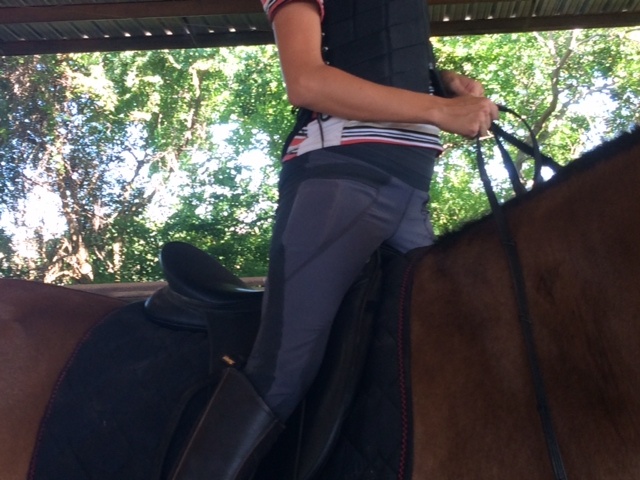 If you have a bellybutton back there then I suggest you tell your instructor before you get on the horse so they can amend their statement and say “pull straight back”. 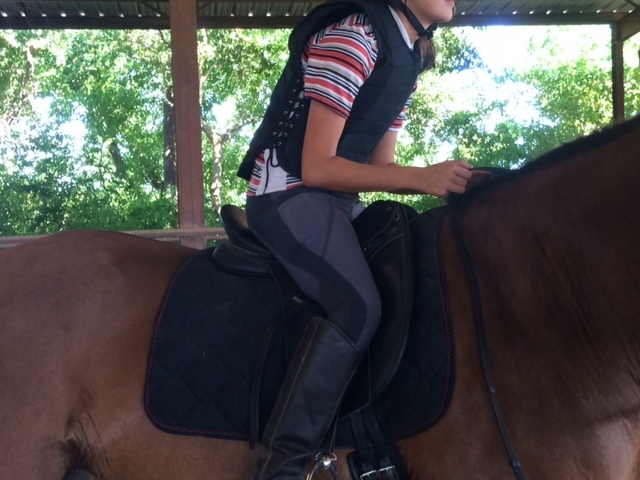 This position is done when the reins are too long and you have to go that far before having contact. It twists your body and gives your horse confusing signals. 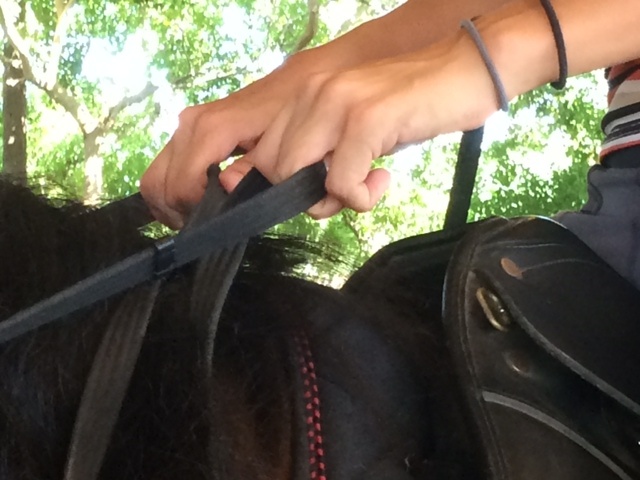 Shorten your reins and have a conversation with your horse. The Overachiever. Heels to the ground toes to the sky is a common saying from instructor to instructor and this is not what they mean. Stretch your leg down to get your heels down and a deeper seat do not by any means stretch them forward. Find the right balance, just enough pressure but not too much. Ballerina Toes. Those students who are/have danced or done gymnastics make instructors cringe. Toes are only to be pointed during dance class not during your riding lesson. 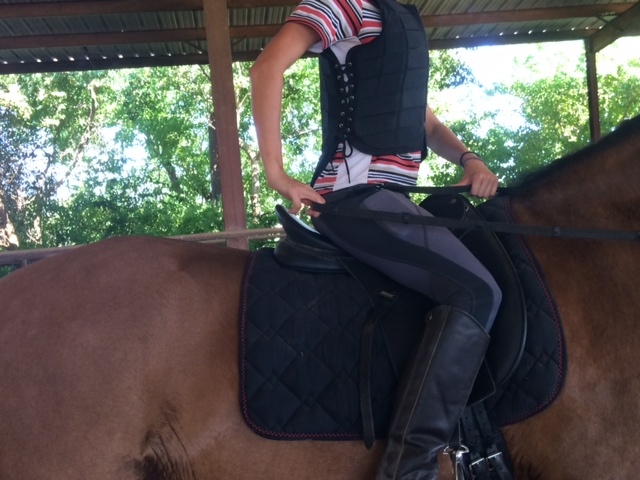 This is usually caused by the student not having flexible ankle muscles, the stirrups being too long, or the students leg is tense and coming up in the saddle. Bucking Bronco Button. 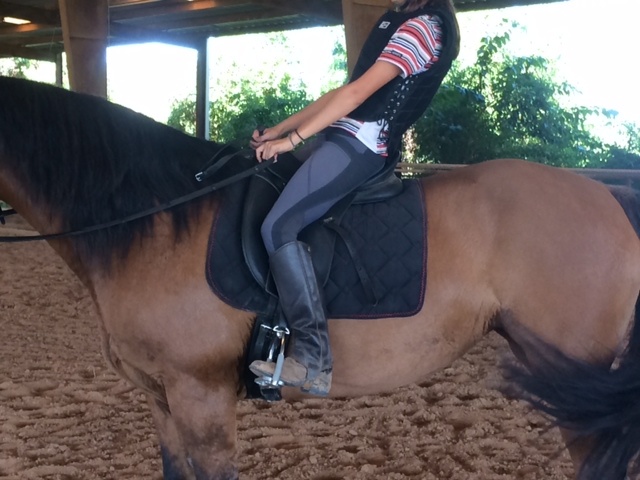 Your instructor said to lightly squeeze with your leg not to move it back and squeeze the horse’s flanks. 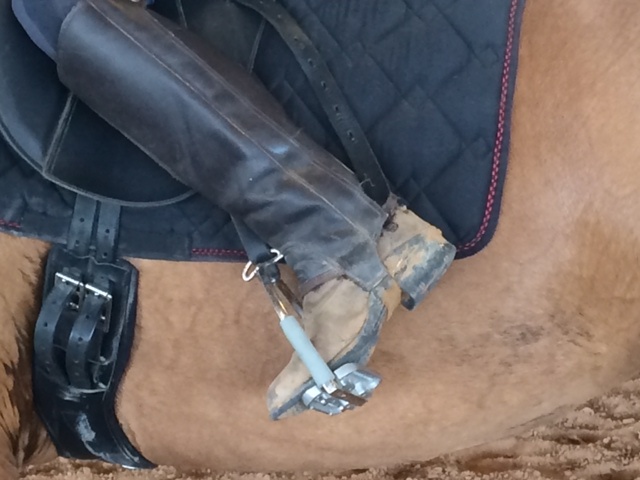 Unless you want to learn to be a rodeo rider never do this on any horse you come across. 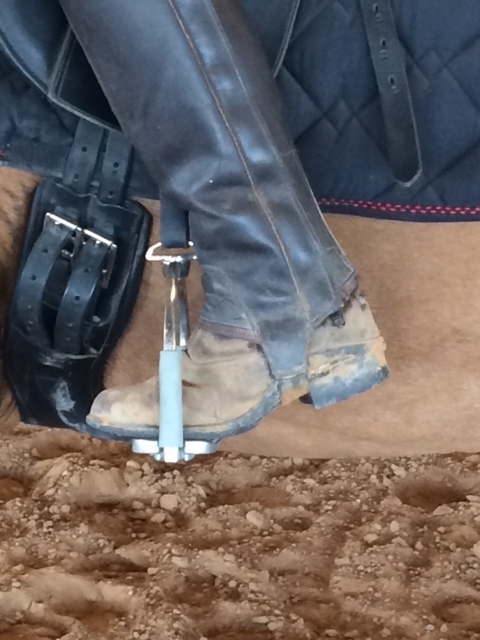 Today’s article will be on the difference between types of wraps and protective boots commonly used on horses. 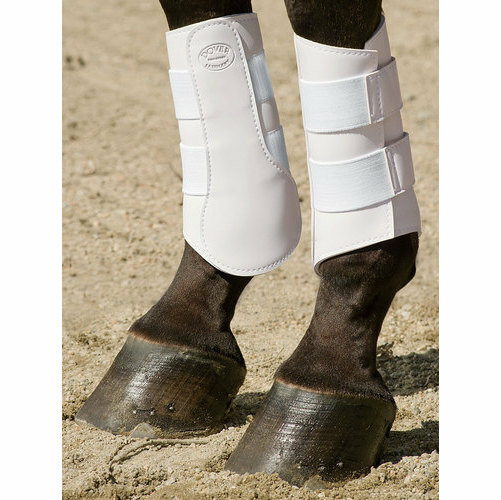 Polo wraps are use to protect the horse’s leg during certain types of exercise such as Dressage, jumping and possibly lunging. 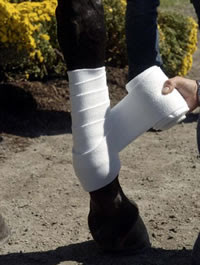 Polo wraps must be properly wrapped for both the horse’s safety and comfort, if improperly used they can create a dangerous situation and possibly even injure the horses tendons. One of the essentials of working with horses is having a fundamental understanding of pressure and release. Without perfecting this essential there will be many days of stress ahead for both you and your equine partner. Pressure: is defined by any cue you give to your horse from the softest spoken word to a firm tap with the whip. This article will be part of a two part series on feel. The first type of feel I will be covering is the feel surrounding energy. Many of our students have heard us speak about lifting your energy or using your energy to guide the horse. In this article I will cover what energy really is, how horses view it and why it works. Thank You 2014 Lysts on the Lake! We extend our heartfelt thanks to all of the wonderful people that participated in the 2014 Lysts on the Lake Social﻿ event May 9th-11th! We had an excellent time and were once again impressed by how kind and friendly everyone is. You are all wonderful people! First I want to address what fear is and what it is not. In the recent movie, After Earth, Will Smith made a statement which rings very true in reality, especially in reality with horses. "Fear is not real. The only place that fear can exist is in our thoughts of the future. It is a product of our imagination, causing us to fear things that do not at present and may not ever exist. That is near insanity. Do not misunderstand me danger is very real but fear is a choice."